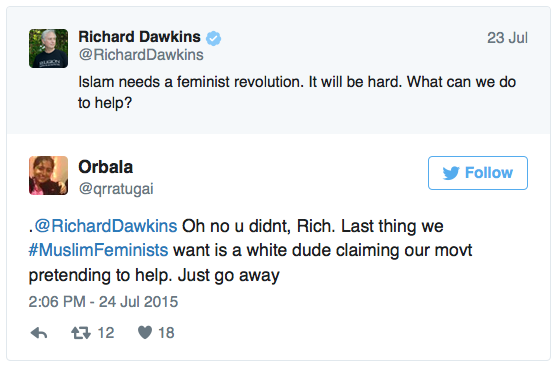 Yes, the good kind of Muslims and feminists know how important it is to be pretty and ladylike at all times. It's just criminal when they hide their "beautiful hair." He'd really like to help them. Onward to the pretty Muslim women's revolution! 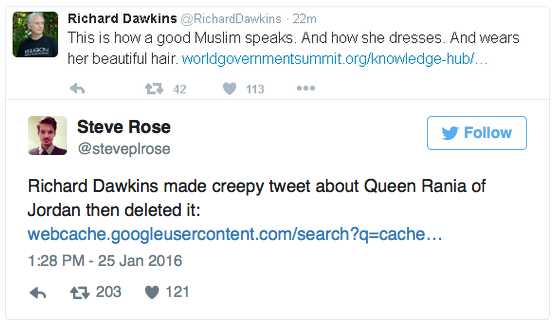 Perhaps Muslim feminists would take Dawkins more seriously, if he weren't so relentlessly focused on their hair... or if he had any respect for practicing Muslims... or practicing feminists. In other words, if he weren't endlessly condescending and paternalistic. You can take the boy out of colonial Africa, but you can't take the colonialist arrogance out of the boy, I'm afraid. 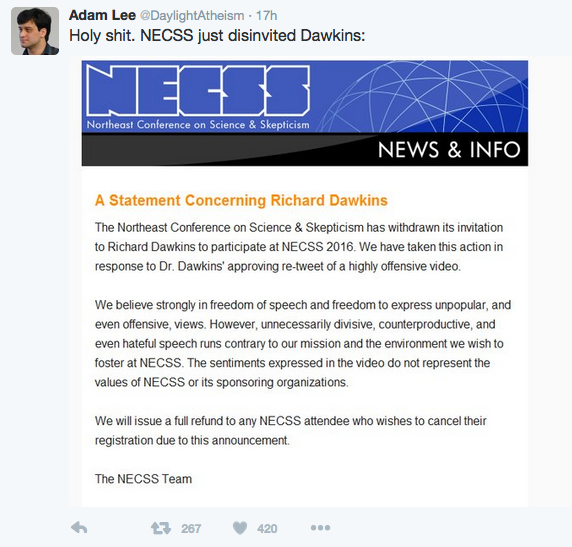 MORE on Dawkins's scornful response to this incident can be found here.